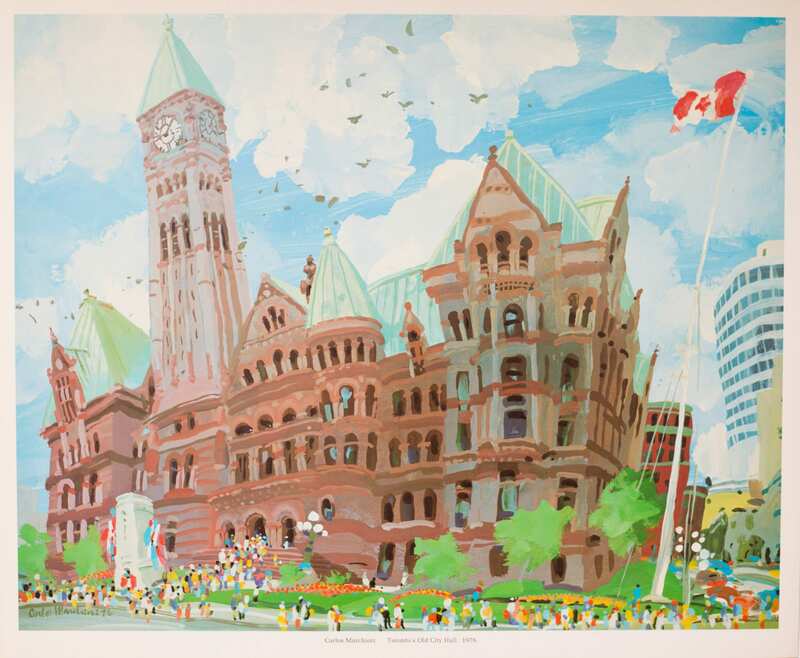 This is a vintage print of a beautiful 1976 original artwork titled "Toronto's Old City Hall" by classically trained Venetian artist Carlos Marchiori. 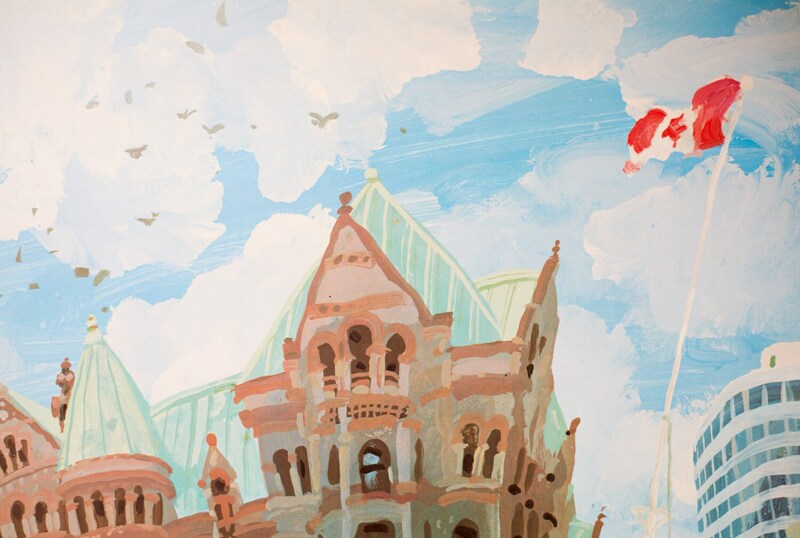 This work is part of a series of whimsical depictions of iconic Toronto landmarks. 5. Toronto Skyline Seen from Hanlan's Point. 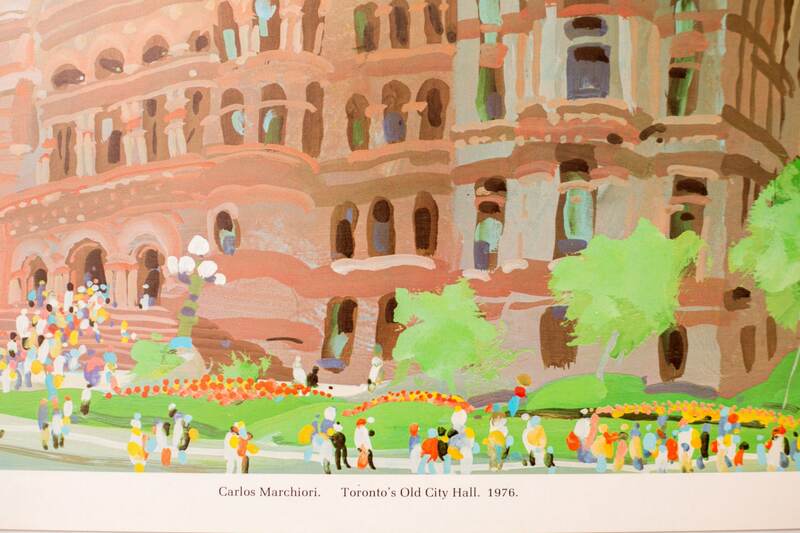 Marchiori's Toronto cityscapes are injected with soul, vibrancy, freshness and spontaneity. These prints are extremely rare and we have a limited number available. 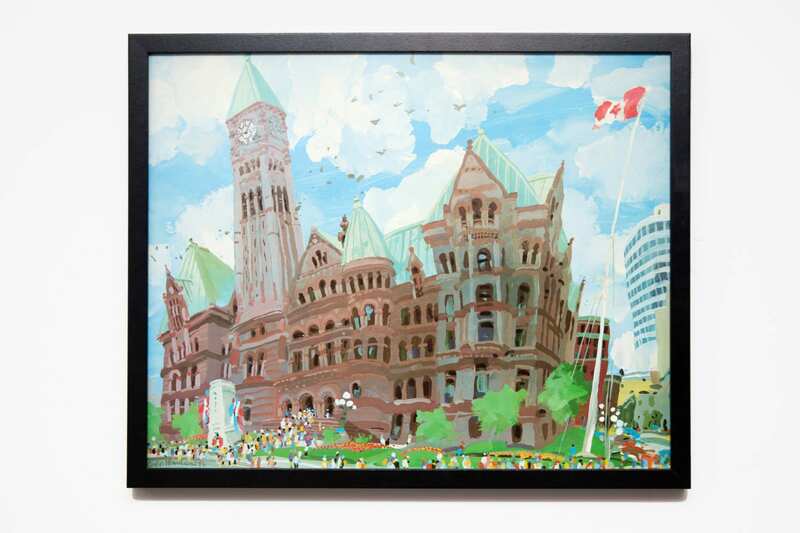 The original paintings sit in the City of Toronto Art Collection, and a selection of them are currently on display in City-owned buildings in Toronto. This is a poster sized print with a white border that displays the artist's name and title of the print. The paper measures 17 inches by 20.5 inches. The artwork alone measures 15.75" by 19.5" without the white border. If the white border is cropped, this print fits perfectly in an Ikea Ribba frame without the mat. Please see photo for example. If you would like us to crop the photo for you, please choose the cropped option. World-renowned Artist Carlo Marchiori was born in Italy and studied classical art and academic design in Padua and Venice. 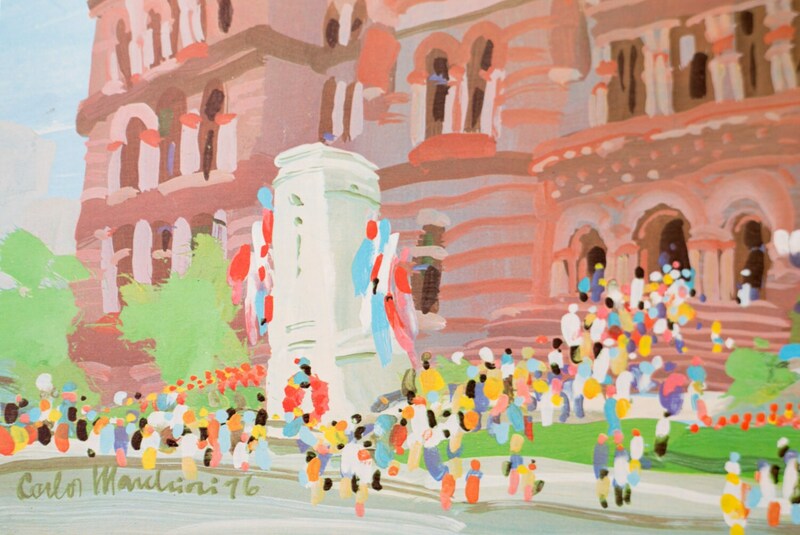 He immigrated to Canada at the age of eighteen and worked for CBC and the NFB before becoming a mural artist. His work have since been featured in publications like Harper's BAZAAR, Home & Decor Magazine, and En Vogue Magazine. In 2012, the Financial Times named Marchiori one of the top five muralists in the world. He now lives and works out of California.